Heinrich Schütz – German composer and organist. One of the most esteemed German composers of all time and a brilliant organist of the 17th century, Heinrich Schütz was born on October 8, 1585, Köstritz, Saxony (now in Germany), to the eldest son of Christoph Schütz and Euphrosyne Bieger. He is credited with bringing the Italian style to Germany and continuing its evolution from the Renaissance into the Early Baroque. Most of his music we have today was written for the Lutheran church, primarily for the Electoral Chapel in Dresden. He wrote what is traditionally considered to be the first German opera, Dafne, performed at Torgau in 1627, the music of which has since been lost, along with nearly all of his ceremonial and theatrical scores. His long and sparkling career was spread across the late Renaissance to the Baroque era. Known for the composition of a large body of vocal and choral music, Schütz had an immense influence on the works of J. S. Bach. He blended Giovanni Gabrieli’s polychoral style and protestant church music to yield dramatic masterpieces. He traveled far and wide and served at many courts across Europe. Schütz composed and published several volumes of his collections of sacred music, such as the Psalmen Davids and the Symphoniarum sacrarum. But regrettably, a significant portion of his pieces went unpublished and are now believed lost. He is commemorated as a musician in the Calendar of Saints of the Lutheran Church on the 28th of July, along with Johann Sebastian Bach and George Frideric Handel. Schütz infused his church music with a greater drama than previously heard in Germany by developing and transforming the Italian choral style he had learned in his studies with Gabrieli. Schütz’s Psalmen Davids (1619) shows the influence of Gabrieli but also divulges his own unique voice. His melodic invention is in evidence in the Becker Psalter (1626), while his Geistliche Chor-Music (1648), a collection of motets, represents perhaps the greatest such assemblage from his century. A large number of his compositions went unpublished, most of those now lost. Heinrich Schütz, Latin Henricus Sagittarius (German: ʃʏt͡s), was born on October 8, 1585, in Köstritz, Saxony Heinrich Schützwas the eldest son of Christoph Schütz, an innkeeper and Euphrosyne Bieger. His family shifted to Weibenfels in 1590, where his father, Christoph was the manager of an inn called, “Zum Ring”. In 1599, when Schütz was 14 years old, his musical talents were discovered by Moritz von Hessen-Kassel. After serving as a choirboy and studying music with the court Kapellmeister, Georg Otto, he joined the University of Marburg to study law in 1608. 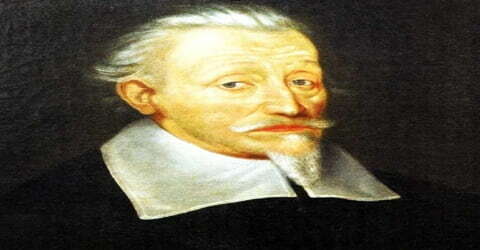 After being a choir-boy Schütz went on to study law at Marburg before going to Venice from 1609-1612 to study music with Giovanni Gabrieli. Gabrieli is the only person Schütz ever referred to as being his teacher. He also inherited a ring from Gabrieli shortly before the latter’s death. 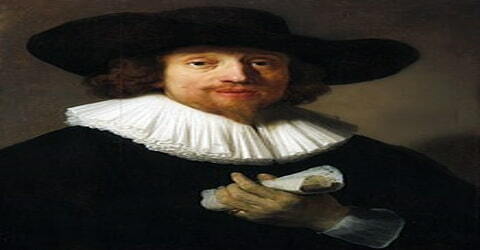 He subsequently was organist at Kassel from 1613 to 1615. In 1619, Heinrich Schütz got married to 18-year-old Magdalena Wildeck and fathered two daughters, Anna Justina and Euphrosyne, in 1621 and 1623 respectively. In 1625, Magdalena Wildeck passed away leaving Schütz with two daughters. He placed both of his daughters under the care of their maternal grandmother and never remarried. In 1613, Heinrich Schütz returned to Germany and accepted a post as the second organist in the Landgrave’s court. Around this time he met Johann Herman Schein, with whom he would remain close friends until Schein’s death in 1631. In 1614 he went to Dresden to supervise the music for the christening of the son of the elector of Saxony, and in 1617 the Landgrave gave him a permanent post in the electoral chapel. Schütz’s first sacred music publication appeared in 1619. Psalmen Davids sampt etlichen Moteten und Concerten comprised 26 works for various choruses and instruments. On June 1, that year, the composer married Magdalene Wildeck, 15 years his junior. Throughout the early 1620s, Schütz remained quite active in composition, perhaps finding his personal happiness a springboard for his creativity. In 1625, however, Magdalene died after a brief illness, dealing Schütz a devastating blow. In 1628 Schütz again visited Venice, where Claudio Monteverdi was now the chief musical figure; it is possible that Schütz studied with him. Three years after his return to Dresden, Schütz left the elector’s court, which was being seriously affected by plague and by the turmoils of the Thirty Years’ War. In 1629, Schütz came back to Dresden and when two years later, Saxony entered the war, all the musical activities at the court ceased. Schütz then received an invitation to compose music for the wedding festivities of Crown Prince Christian of Denmark. In December 1633, in Copenhagen, he was paid a salary as the Kapellmeister by King Christian IV until Schütz returned to Dresden in May 1635. From 1635, apart from one further visit to the Danish court, he remained, in spite of his frequent pleas for dismissal, in the elector’s service at Dresden. After the early set of madrigals, almost all of Schütz’s known works are vocal settings of sacred texts, with or without instruments. Of his known secular works, Dafne (performed 1627), the first German opera, and compositions for the marriage of Johann Georg II of Saxony in 1638 were lost. Schütz’s special achievement was to introduce into German music the new style of the Italian monodists (as typified in Monteverdi’s work) without creating an unsatisfactory hybrid. His music remains extremely individual and German in feeling. After the Latin of Symphoniae sacrae I (published 1629), he used the vernacular. In 1639, Schütz vanished again from Dresden. He left for around 15 months to serve Georg of Calenberg. After he returned, he saw that the Kapelle’s financial situation had further worsened and the members were living in penury. The first German requiem was his Musikalische Exequien (published 1636) for soloists and choir, in which the writing for solo voice or duet is often florid in the Italian manner, while the choral sections are firmly based on German chorale tradition. The final section is for double choir, recalling Schütz’s studies with the earlier Venetian composers. Other principal works from the middle of his life are two sets of Kleine geistliche Konzerte (published 1636, 1639) for solo voice and continuo, Geistliche Chormusik (published 1648), and Symphoniae sacrae II and III (published 1647, 1650) for various combinations of voices and instruments. In all of these works, Schütz’s strong dramatic sense has been noted. During 1642-1644, Schütz remained employed at the Danish court. After spending about a year in and around Brunswick, he went in an apparent retirement. Schütz spent most of his time in Weissenfels, but he still held the title and responsibilities of Kapellmeister at Dresden. Unfortunately, the end of the ‘Thirty Years War’ failed to revive the musical conditions. Schütz published his collection, Symphoniarum sacrarum Tertia pars, in 1650. In 1650, Schütz published his collection, Symphoniarum sacrarum Tertia pars. In 1651, He renewed an earlier plea asking for being released from his duties and granting of a pension; this wish wasn’t granted until the death of the elector in 1656. Even during the later years, he hardly ceased composing and continued to offer his compositions for different occasions at Dresden. During this time, Schütz also worked on some of his masterpieces the Christmas History, the three Passions and the settings of Psalms cxix and c.
Schütz moved back to Weissenfels in a retirement he had to beg for to live with his sister (the house is now a fine museum of his life), but the Electoral Court called him back to Dresden often. His pupils included Anton Colander, Christoph Bernhard, Matthias Weckmann, Heinrich Albert, Johann Theile, Friedrich Werner, Philipp Stolle Johann Nauwach, Caspar Kittel, Christoph Kittel, Clemens Thieme, Johann Klemm, Johann Vierdanck, David Pohle, Constantin Christian Dedekind, Johann Jakob Loewe (or Löwe), Johann Kaspar Horn, Friedrich von Westhoff, Adam Krieger, Johann Wilhelm Furchheim, Carlo Farina. The Christmas Oratorio (from a publication of 1664) for soloists, choir, and instruments foreshadows his austere last works. These are a cappella Passions, settings of the text of the Gospels according to Matthew, Luke, and John. In these works even the sparing vocal figuration of the Christmas Oratorio is absent. The plain scriptural text is delivered by the soloist in a kind of recitative, generally syllabic, while the words of the Jews, high priests, etc., are set as brief polyphonic choruses. Heinrich Schütz died in Dresden from a stroke in 1672, on the 5th of November at the age of 87. Even during the last days of his life, he kept traveling and composing. His funeral was held in Dresden’s Frauenkirche on the 17th of November. He was buried in the old Dresden Frauenkirche, but his tomb was destroyed in 1727 when the church was torn down to build the new Dresden Frauenkirche; His long-time house on the same square has been reconstructed in the same style and is an apartment building with hotel rooms and a restaurant. Schütz did much traveling in his last years and lived in Weissenfels for most of his last decade. He was one of the last composers to write in a modal style. His harmonies often result from the contrapuntal alignment of voices rather than from any sense of “harmonic motion”; contrastingly, much of his music shows a strong tonal pull when approaching cadences. His music includes a great deal of imitation but structured in such a way that the successive voices do not necessarily enter after the same number of beats or at predictable intervallic distances. This contrasts sharply with the manner of his contemporary Samuel Scheidt, whose counterpoint usually flows in regularly spaced entries. Schütz’s writing often includes intense dissonances caused by the contrapuntal motion of voices moving in correct individual linear motion but resulting in startling harmonic tension. Above all, his music displays extreme sensitivity to the accents and meaning of the text, which is often conveyed using special technical figures drawn from musica poetica, themselves drawn from or created in analogy to the verbal figures of classical rhetoric. However, as noted above, the composer’s style became simpler in his later works, which make less frequent use of the kind of distantly related chords and licences found in such pieces as “Was hast du verwirket” (SWV 307) from Kleine geistliche Konzerte II. Heinrich Schütz was of great importance in bringing new musical ideas to Germany from Italy, and thus had a large influence on the German music which was to follow. The style of the North German organ school derives largely from Schütz (as well as from the Dutchman Jan Pieterszoon Sweelinck); a century later this music was to culminate in the work of J.S. Bach. After Bach, the most important composers to be influenced by Schütz were Anton Webern and Brahms, who is known to have studied his works.